© Mykola Shpyrka. All rights reserved. This man is Thai person. 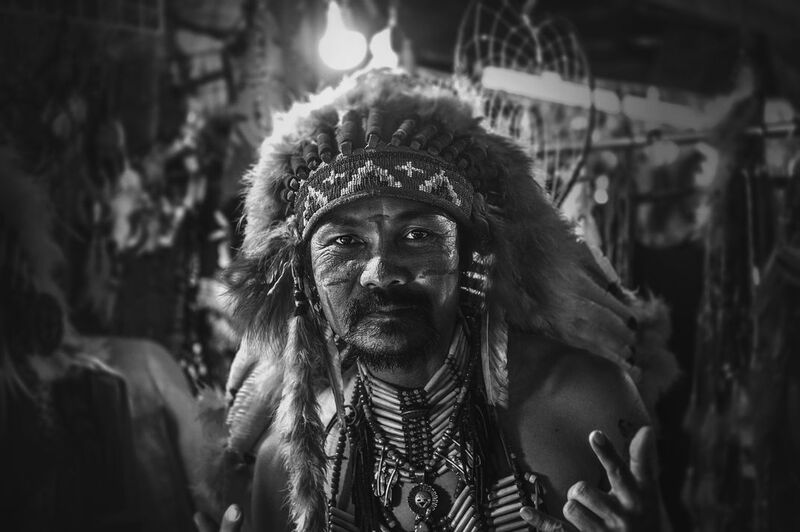 He has been dressed in traditional style of North American Indians, however instead of a militant strong look inherent to the last, his kind face expresses truly Buddhist tranquility, indifference to surrounding fun and gentle melancholy inside. Date Uploaded: Oct. 30, 2018, 6:14 a.m.